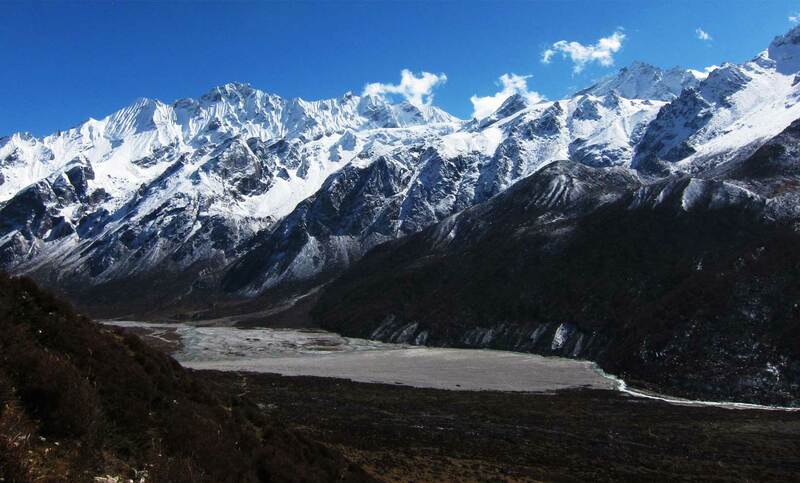 Naya Kang lies on the southern flank of Langtang region, bordering with Langtang and Jugal Himal. Another name of Naya Kang is Ganja – La Chuli. 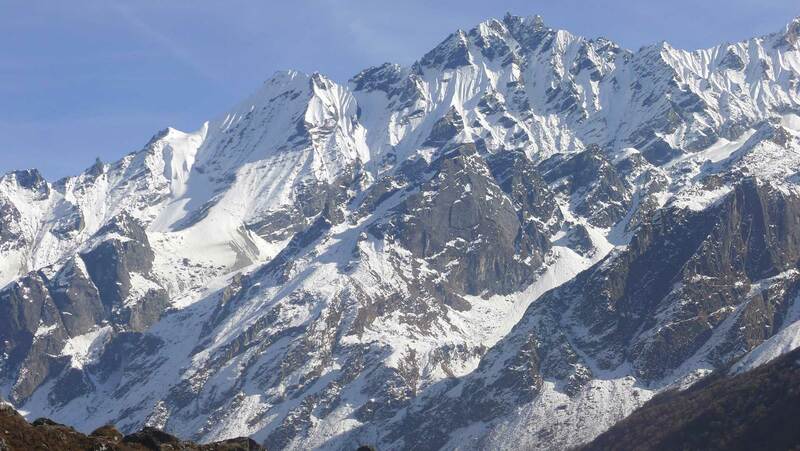 Naya Kang peak Climbing (Ganja- La Chuli) offers magnificent views of Langtang range, Ganesh Himal, Manaslu in the west. Likewise, Panch Pokhari and Rowling Himal in East. 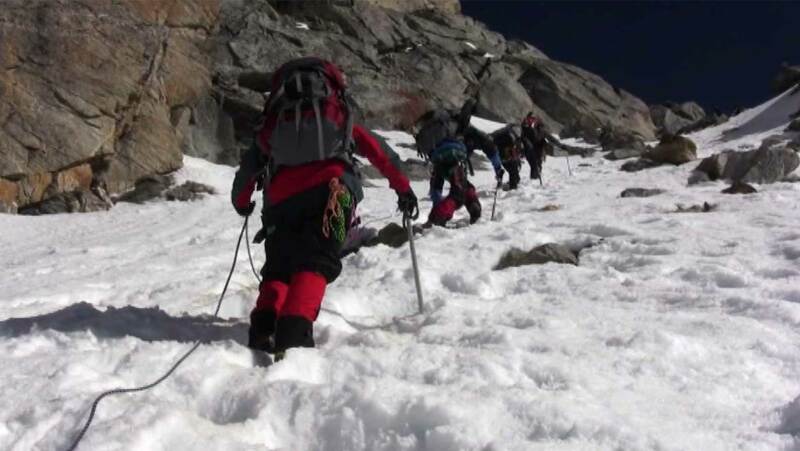 The Langtang Naya Kang peak trekking and climbing require good physical condition and mountain experience. The Naya Kang Climbing is technically demanding due to walk along moraine. So it requires fixing the rope to get its base camp. This trek goes all the way starting from the isolated villages as well as forests in exotic flora and Fauna. Even more, inspiring places in between en route Langtang Valley. Naya Kang peak climbing moreover consists of huge bio-diversities, monasteries, and people of Tibetan reside here. Finally, the trek ends at Melamchi Pul by the Ganja-La Pass. Besides that, it is possible to expand the journey Naya Khang Peak Climbing via Tamang Heritage Trail. Then joins to the main trail of Langtang Valley. Meanwhile an exploration of Tamang culture, peoples, and monasteries. The paths continue uphill through the small settlements, lush green forests, as well as spectacular mountains, view along the Bhote Koshi River. Similarly, one can take an opportunity to hike up Tsergo-Ri 5000 meters for the outstanding views of thunder Himalayas and get proper acclimatization for Naya Kang peak Climbing as well. 2: Free day and trek preparation. 3: Kathmandu – Syabrubensi (1467m) by bus 7h00 drive. 4: Syabrubensi – Lama Hotel (2470m) 6h00 walk. 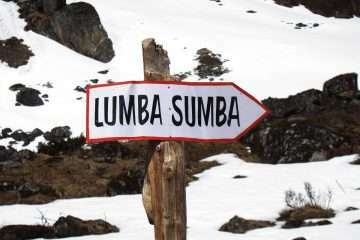 5: Lama Hotel – Lantang village (3400m) 5h00 walk. 6: Langtang – Kyangjing Gompa (3850m) 4h00 walk. 9: Naya Kang Base Camp – High Camp (4960 m) 4h00 walk. 11: Ganja La High Camp– Summit (5844m) – Pass (5144m) – Keldang (4250m) 6h00 walk. 12: Keldang – Yak Kharka (Dukpa) (4000 m) 6h00 walk. 13: Dukpa – Tarke Gyang (2,590 m) 6h00 walk. 14: Tarkeghyang – Sermathang (2,610 m) 5h00 walk. 15: Sermathang – Kathmandu 6h00 drive. Day 2: Free day and trek preparation. Day 3: Kathmandu – Syabrubensi (1467m) by bus 7h00 drive. Early morning the team will be head to Shyabru Bensi (1467 m.) by bus. 7-8 hours picturesque scenic bus journey to Shyabru Bensi, passing by the low land villages and rivers along the route can reach the start point of the trek. Night at a lodge. Day 4: Syabrubensi – Lama Hotel (2470m) 6h00 walk. Day 5: Lama Hotel – Langtang village (3400m) 5h00 walk. Day 6: Langtang – Kyangjing Gompa (3850m) 4h00 walk. As usual in the morning, the scenery the is same, several chhorten, Mani walls and carving stones along the trail which suppose to protect from wind according to local. The Himalayas and spectaculars pastures surround Kyangjing Gompa. Visit Tsergo – ri peak 4980m 7 hours. 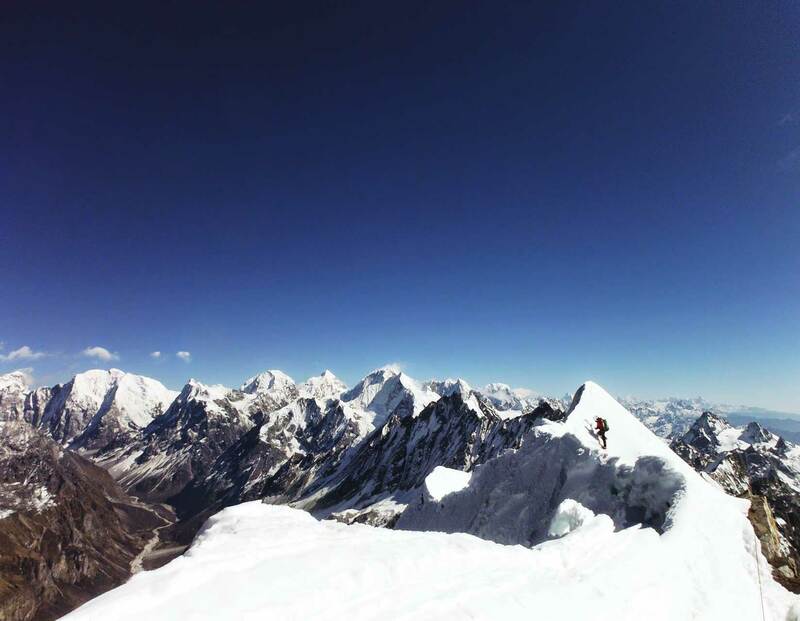 The excellent views of Tibetan range, Yala peak, Langshisha peak, Gabgchhenpo peak, Shisapangma peak, Ganja chuli. Taking today’s breakfast, our adventure heads to Ganja La Base Camp. Initially, we descend to the Langtang River and cross it. Then, the trail goes uphill through rhododendron forests. As we arrive in the Yak pasture, we’re already in high altitude. It depends on the season getting to have our destination. It might be a long day walk snow-strewn path due to the winter snow. A night under a tent. Day 9: Naya Kang Base Camp – High Camp (4960 m) 4h00 walk. 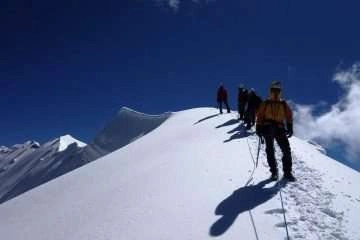 The trail is steep ascent until reaching the High Camp. Trek through the rocky and icy glacier that needs to fix the rope. 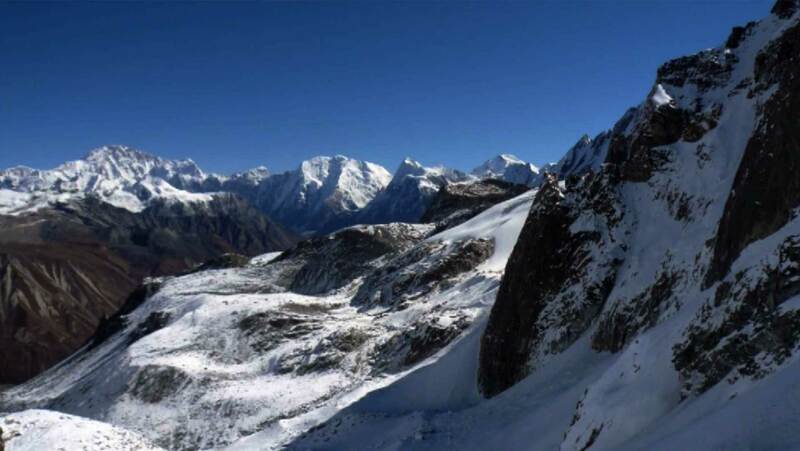 This day also you can enjoy the views of Langtang Lirung, Tserko ri, Ganchenpo peak, Kibgyu Ri, Yansi Tsenji peak. The purpose of the resting here is to prevent from AMS. It is wise to have rest and get prepared for climbing gears and train as well. Day 11: Ganja La High Camp– Summit (5844m) – Pass (5144m) – Keldang (4250m) 6h00 walk. A super day of trekking today, as we submit the Ganja – La (5844 m) and Ganja- La pass. It would be a hard day since the summit and pass. Ganja – La is covered by snow throughout the year and requires technical gears to make a pass through the rocky moraine. Superb views from the pass and trek down to Keldang. Day 12: Keldang – Yak Kharka (Dukpa) (4000 m) 6h00 walk. A long day walks down to Yak Kharka along the prominent ridge and grassland with amazing views of the Himalayas. No water almost along the trail so, the campsite needs to fix in Dukpa because of the availability of the water resources. A night under a tent. Day 13: Dukpa – Tarke Gyang (2,590 m) 6h00 walk. Today, the trail goes slightly down before making a pass of a ridge with an elevation of 4100 m. locally know as Ama yangri peak where celebrates the local festival(Nar Puja) in the full moon of February. Outstanding views of Annapurna, Manaslu, Ganesh Himal, Dorje Lakpa, Panch Pokhari, Gauri Shankar, Rolwaling and as well as Everest. Then; gradually descending through the dense forests of rhododendron to Tarkeghyang; a popular village of the region and situated the oldest monastery. Night at a lodge. Day 14: Tarkeghyang – Sermathang (2,610 m) 5h00 walk. It is easy and relatively flat and not much ascends to Sermathang passing through the rhododendron forests, villages, cultivated lands, and monasteries along the trail to Sermathang. Discover the village and its monasteries. Night at a lodge. Day 15: Sermathang – Kathmandu 6h00 drive. The village is mostly inhabitant by Hyalmo people. Today is our final day of the trek and possible to get a bus in Sermathang if the road is not destroying in the summer rain. Otherwise, descend to Melamchipul Bazaar then catch a bus to Kathmandu. Night at the hotel. You have a chance to visit the rest of the city. It is considered as security day in case of flight interruption due to bad weather; this day can be occupied. Otherwise, you may extend your adventure like Chitwan Safari, Hike around Kathmandu valley, Lumbini and Pokhara as well. You will transfer to airport 3 hours before the scheduled flight.